Unique and only obtainable from SMA TACKLE. Intended for use in conditions where a high visibility bait is required! 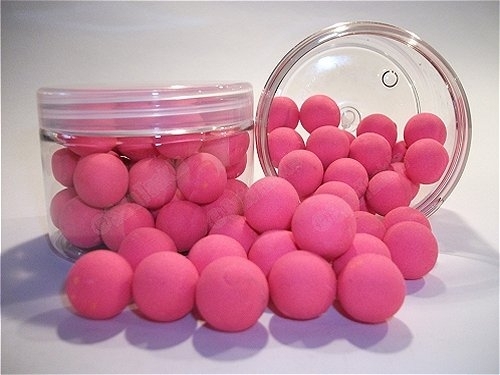 These Fluoro Pink Pop ups are available in the above unique flavour combinations. Select the flavour required from the drop down box above. Size varies between 14mm and 16mm depending on stock availability. Also available in other high visibility colours - see "Related Products".